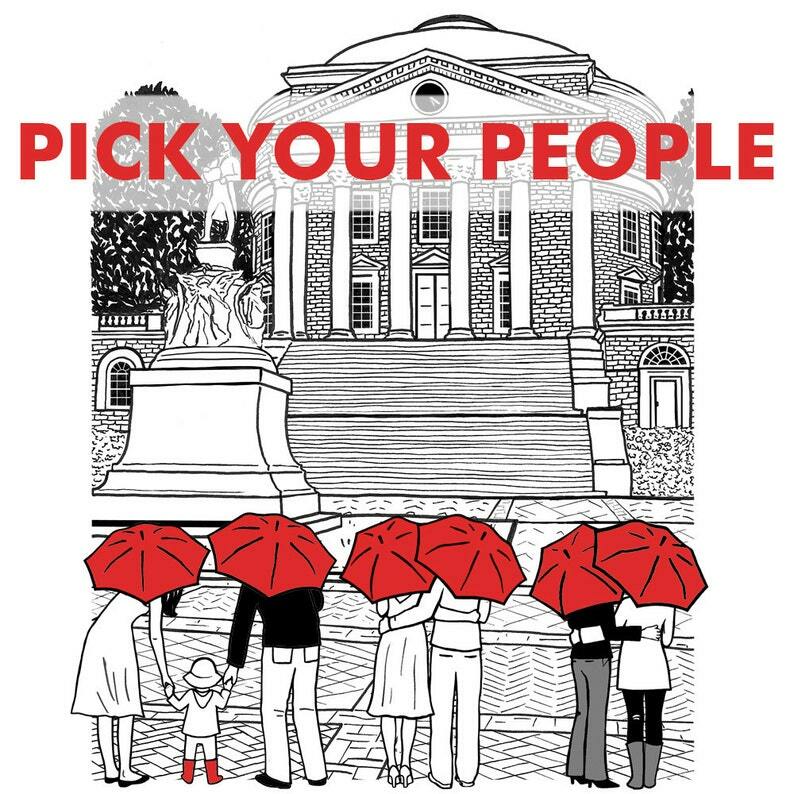 This giclée (meaning a high quality, archival ink jet print) features a couple walking near UVA's Rotunda, with your choice of people as the subjects. Perfect as a gift for weddings, engagements, anniversaries, roommates, friends, same gender couples, and families. Here's how: First, check out the third listing photo above for the umbrella color options, and choose your color from the "Umbrella Color" drop down box on the right. Then, check out the fourth photo for the subject options. Note the corresponding letter (for your information, especially if you're looking at the chart on a small phone screen, couple letters C, D and E are man/woman couples, F through K are groups of women, and L through O are two men). Then, choose the letter that corresponds to your choice of subjects from the "People" drop down box, and add it to your cart. If you choose letters P,Q,R or S (the families), let me know in the notes box during checkout what color you want the child's boots and/or balloon to be. If there is no note, I will either match the boots/balloon to the umbrella color, or in the case of two umbrella colors, I will choose the color I think looks best. A giclée print is a fine art print made with a high-end inkjet printer using archival ink. This one has an image size of 3.5x5.5 printed on 9x6 inch Epson premium matte paper and signed in pencil (see the second listing photo for how the size looks- this is the size that matches the Gocco prints in the shop. However, please note that the paper is different than that of the Gocco prints). If you'd like me to write the title "UVA Love" along the bottom edge of the image, just let me know in the "note to ArtSharkDesigns" section during checkout.